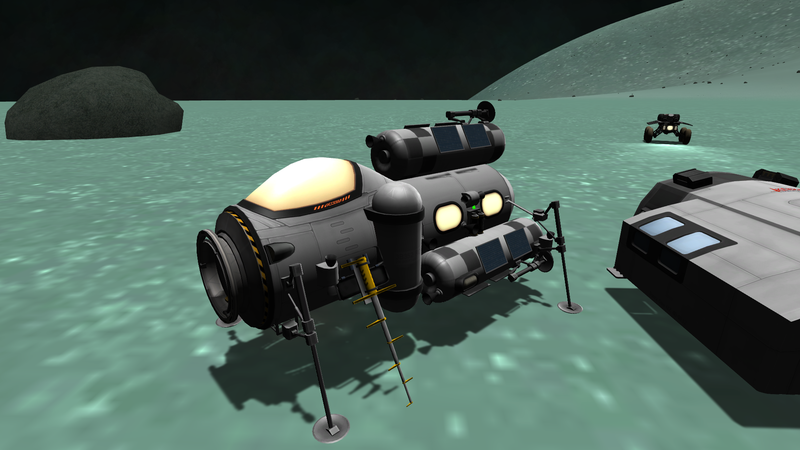 I love building landers using the 1.25m crew tank horizontally. However, it's really hard! It's difficult to attach propulsion systems without blocking the doors, and even moreso for the windows. There are no hatches either. Reentry is a huge pain. Am I the only one who wishes there was a better part for this? Some kind of horizontal lander part with more attachment nodes and a better hatch system? 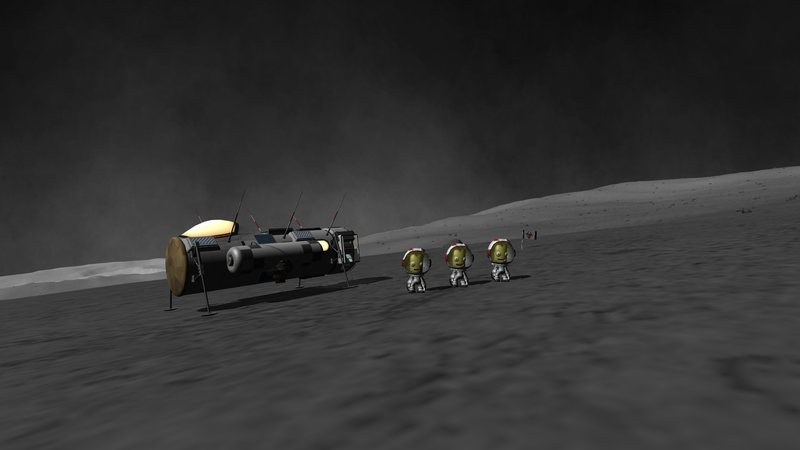 Maybe one that holds 3 kerbals? Does anyone already make one? If so, who? If not, would someone? Please? Well, here's my latest creation. The viewer pod from Airplane Plus makes a great horizontal lander cockpit. 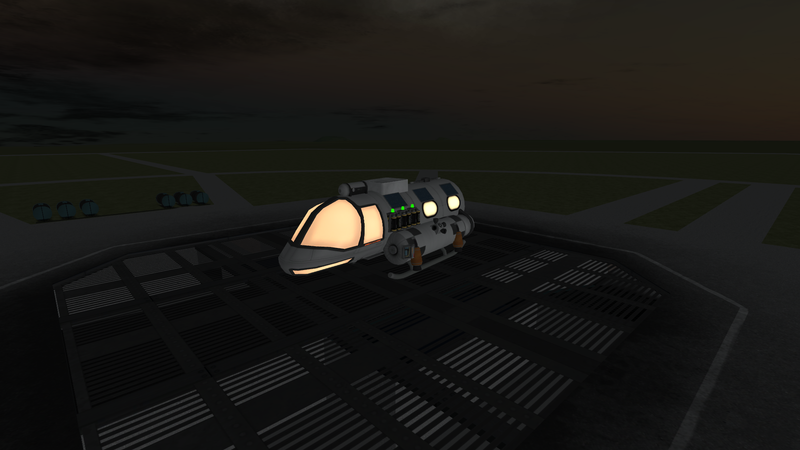 This one has a docking port on the back, which means no room for an airlock, which means the cockpit has to serve as one. I'm thinking that an inline airlock like the one from KPBS would be perfect, sort of like the inline shielded docking port but an airlock instead. Kerbals could enter and exit from the sides no matter what crew parts you were using, and I could still have my docking port at the back. It would also work very well with plane designs in which you don't want passengers climbing through the cockpit to get out. I'd make it but I don't know how to model in 3d. Maybe someone else could? 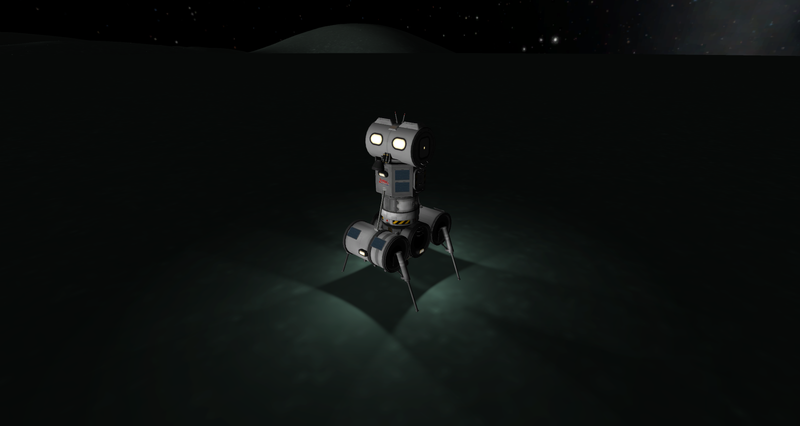 If you like KPBS, it has VTOL engines and you could make a lander with it directly, if you wanted. Other options that immediately spring to mind: The Karibou (now rolled into MKS) has some very good parts for this. Although it's a bit short on airlocks - but has some very good attachment points for MKS airlocks. Also, the Buffalo or Bison from WBI have VTOL engines and landing legs, and could be used for this.